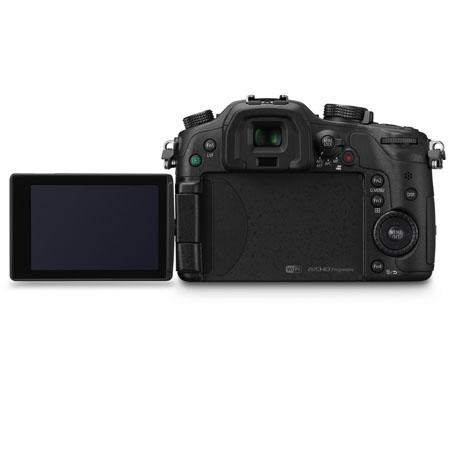 Panasonic is proud to introduce a new Digital Single Lens Mirrorless Camera DMC-GH3 of its top-of-the-line GH series. The LUMIX GH3 is not just a compact, lightweight camera. It is an attractive, top-of-the-line mirrorless single lens system camera that is tough enough to withstand the extreme conditions of heavy field use. In Europe and the United States, digital SLR cameras are called DSLR and mirrorless cameras are referred to as CSC (Compact System Cameras). Panasonic uses the term DSLM (Digital Single Lens Mirrorless) cameras to refer to its mirrorless models, and continues to develop attractive camera systems with interchangeable lenses. With the introduction of the high-end LUMIX GH3, Panasonic will be able to provide more people with the experience of exploring the remarkable potential of the digital single lens mirrorless camera. The new Live MOS Sensor achieves high-resolution images with minimum noise. And the new Venus Engine attains high-speed, high-quality signal processing. These features combine to maximize shooting fun and operating ease. Another prominent feature of the LUMIX GH3 is a tough body that is rugged enough to stand up to even professional use. It features a magnesium alloy full diecast body and advanced splash / dustproof construction that was achieved by tightly sealing the sections of the camera body to enable shooting under extreme conditions. 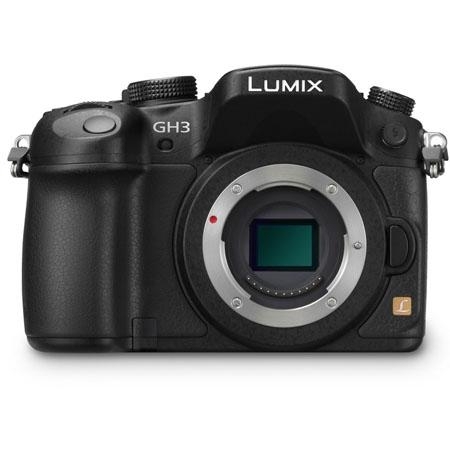 Although the LUMIX GH3 is integrating features a class above than other G Series models, it is still compact when compared with an SLR camera featuring equivalent performance and functions. The body has enabled a new control layout with three dials on the front and back as well as single-function buttons. The LUMIX GH3 allows users to capture images in extreme environments and provides superb mobility. It also records still images consecutively at a rate of about 6 fps. The LUMIX GH3 is proud to assume the role of Panasonic's flagship digital single-lens mirrorless camera. 16.05-megapixel Digital Live MOS Sensor Drop Frame HDR (High Dynamic Range) Double OLED Display Splash/Dustproof Design Full-HD Progressive Smartphone or Tablet Linking Venus Engine: The image processor Venus Engine is also refined to achieve superior noise reduction. With a combination of 3DNR (3D Noise Reduction) and MNR (Multi-process Noise Reduction), both bright area and dark area are faithfully reproduced with minimum noise across the entire focusing range in high sensitivity image recording. Built-in Flash: The built-in flash is enforced to feature more power and flexibility. The new built-in flash of GN12 equivalent (ISO 100 m) / GN17 equivalent (ISO 200 m) covers 24mm wide angle of view. Synchronization for flash dimming and exposure compensation is available with adjustment of 1/3EV Step ±3EV. HDR (High Dynamic Range): The DMC-GH3 also integrates HDR (High Dynamic Range) to cope with the extreme bright and dark contrast that you get, for example, with backlighting, consecutive photos are taken with different exposure levels and overlapped. Time Lapse: Other practical shooting functions including Time Lapse Shot or Multiple Exposure are available on DMC-GH3. The electronic shutter with silent operation prevents pixel declination which is undesirable in photographing of commercial products and so on. Effective Heat Diffusion: Effective thermal diffusion is an essential design challenge. 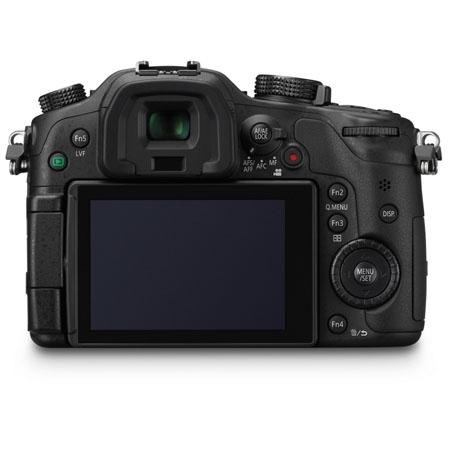 By drawing on the expertise accumulated through its many years of developing camcorders, Panasonic has revamped and redesigned the electronic parts arrangement and internal structure to achieve the optimum layout. This has eliminated heat problems in the GH3. Seamless Motion Files: When recording the video in MOV, AVCHD Progressive and AVCHD, the DMC-GH3 automatically generates multiple seamless files for continuous recording. During playback, the AVCHD Progressive / AVCHD files are reproduced with seamless, interruption-free continuity. SMPTE Time Code: The DMC-GH3 also embeds SMPTE Time Code either in Rec Run or Free Run count-up methods, which makes it easy to synch the multiple video footage or sound source in the post production workflow. Time Code Value can be started at any point of [Reset], [Manual Input] and [Current Time]. Drop frame or Non Drop Frame TC is selectable. Ssound Rrecording: For high quality sound recording, DMC-GH3 adopts Dolby Digital for AVCHD Progressive / AVCHD videos and liner PCM (LPCM) for non-compressed video recorded in MOV. In addition to the built-in stereo microphone, the DMC-GH3 is equipped with two 3.5mm terminals for external microphone and headphones. Creative Video Mode: The DMC-GH3 also features Creative Video mode: Exposure mode and Slow / Fast-Motion mode. In the Exposure mode, four manual video modes: Program AE / Aperture-Priority / Sutter-Priority / Manual Exposure can be selected and they will faithfully reflect your shooting intent, and give you a wide range of video images. AF Tracking: Not only full-time AF, AF Tracking and Face Recognition AF are also available. The Touch AF in video recording also lets users enjoy professional-like rack focusing. Just by pointing the subject, the focus is shifted to it and let it stand out to attract attention. Contrast AF: All cameras of LUMIX G adopt Contrast AF for its focus system. Compared with the Phase difference system AF, the Contrast AF boasts higher accuracy especially in shooting with bright lens with small F value. Light Speed AF: The DMC-GH3 features ultra-high-speed Light Speed AF makes it possible to capture even the fast-moving subject clearly. Not only the accuracy but also the speed excels by far than the high-end DSLRs with Phase difference AF with the advanced Contrast AF system in DMC-GH3. Dual OLED: The DMC-GH3 is equipped with high-speed dual OLED (Organic Light-Emitting Diode) displays for LVF (Live View Finder) and rear monitor. Increasing the resolution of display area to 1744K-dot equivalent, the new 16:9 Wide Screen LVF boasts approx.1.34x / 0.67x (35mm camera equiv.) magnification and 100% FOV and eyepoint of approx. 21mm. Durable Build: The new LUMIX GH3 is tough enough to withstand even heavy field use. 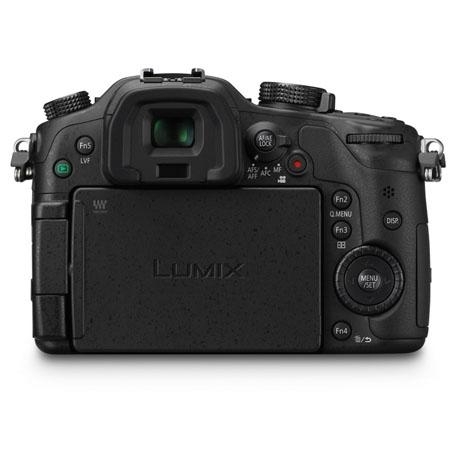 The main structural features of the LUMIX GH3 are its magnesium alloy full diecast frame and a splash / dustproof construction. Popup Flash: Careful attention was given to the popup flash. To prevent vignetting caused by the lens, the popup flash incorporates a sliding mechanism that raises the flash to its operating position. WiFi: The DMC-GH3 integrates a built-in Wi-Fi module for wireless connectivity (IEEE 802.11 b/g/n) to expand shooting possibility. A smartphone or a tablet can be used as a remote controller and a remote monitor. Photo Style: With the Photo Style, users can manually choose from 6 color types to get even more detailed image settings, or to match the shooting situation. In addition, the contrast, sharpness, saturation or noise reduction for each mode parameter can be customized in 11 steps and stored in memory. Creative Control: A total of 14 filters are available - Expressive, Retro, High Key, Low Key, Sepia, Dynamic Monochrome, Impressive Art, High Dynamic, Cross Process, Toy Effect, Miniature Effect, Soft Focus, Star Filter and One Point Color.